Gibraltar is a highly regulated and transparent jurisdiction. It affords access to the EU single market in financial services, coupled with the benefits of a Gibraltar-based regulatory regime. Gibraltar is a highly regulated jurisdiction and enjoys the full benefits of EU Membership. Gibraltar provides access to the European Union's financial services markets, coupled with the benefits of a Gibraltar-based regulatory regime. In addition, the Gibraltar Financial Services Commission has received a series of ringing endorsements from international regulatory bodies enabling Gibraltar to fulfil all international and EU-wide directives concerning financial services, and other matters such as money laundering. STM is one of the longest-standing and most prominent fiduciary businesses in Gibraltar and was admitted to the Alternative Investment Market of the London Stock Exchange in March 2007. Founded in 1989, STM operates principally from Gibraltar and specialises in financial planning both for high-net-worth individuals making cross-border investments, or moving to work, live, or retire overseas, and for entrepreneurial, predominantly owner-managed businesses expanding into, or re-locating to, other, frequently lower, tax jurisdictions. With a number of QROPS providers to choose from, clients and their advisers need to ensure they choose an established, quality service provider with the commitment and longevity to administer funds for the entire term of the pension. 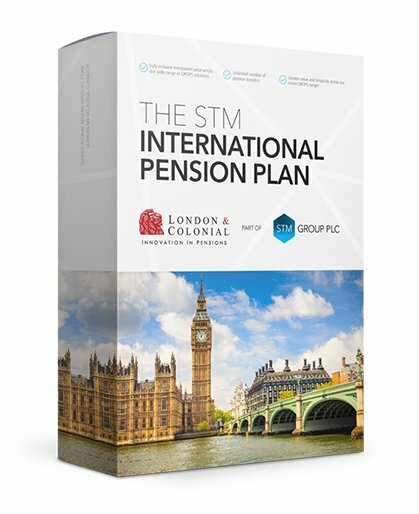 As a company listed on the London Stock Exchange, and with schemes in the key jurisdictions of Malta and Gibraltar, STM are world leaders in the field of pensions. STM provide pension solutions to companies and individuals resident in Gibraltar and to internationally-mobile individuals through STM Fidecs Pension Trustees Limited. Up to 30% pension commencement lump-sum can be taken from age 55, subject to being non-UK resident for a minimum of five full tax years. Income is taxed at a flat rate tax of 2.5% and declared as income in the client country of residence. Many countries do not tax foreign source pension income and, as such, a Gibraltar QROPS can provide a tax efficient pension transfer solution. We employ numerous technical specialists and are able to invest in product development to ensure the delivery of innovative and global solutions to both clients and intermediary partners. An Offshore Bond is a unit-linked insurance wrapper which contains a range of underlying assets. STM Life bonds allow you the complete freedom to either create your own bespoke portfolio or to appoint an Investment Adviser to manage the portfolio. Alternatively STM Life will appoint an Investment Adviser to the bond. In most jurisdictions an Offshore Bond is viewed as a non-income producing asset and investments can generally be traded without incurring immediate tax liabilities, other than a small amount of withholding tax deducted at source. This allows you to benefit from tax deferral as taxation charges will not arise until certain withdrawals are taken from the bond or the bond is surrendered. We look after the assets of affluent families, caring for future generations through our trustee services. We work with clients from a range of backgrounds, including entrepreneurs, those with inherited wealth, and families that live, or have assets spread across international boundaries. We can help protect your assets including: family businesses, homes, chattels such as cars and other valuables, investment properties and traded investment assets. Generally, we work with family advisers and local experts to produce a mix of expertise tailored to your individual or family needs. Our services ensure that companies are managed effectively from Gibraltar, including regulatory compliance and filings. We manage the full range of activities for companies incorporated in Gibraltar, or elsewhere, and can combine our services to suit specific needs. Our internationally-trained and qualified professionals have many years of combined experience in international tax planning. Through our extensive expertise we offer you advice on the establishment, implementation, and monitoring of complex international structures, whether as a private client or as an international organisation. Continually researching and developing new products, ideas, and strategies ensures we stay ahead in a field that is constantly changing and evolving. Gibraltar has become popular with high-net -worth Individuals who are increasingly taking advantage of the fiscal and lifestyle advantages attainable by establishing ‘Category 2’ residency. Gibraltar affords a unique and attractive personal tax regime for high-net-worth individuals who wish to establish ‘Category 2’ residency status to ensure their wealth is preserved in a safe and secure tax efficient jurisdiction. Gibraltar also offers many lifestyle advantages and enjoys a close relationship with the UK, as well as a beneficial geographical connection to mainland Europe and Africa. STM Fiscalis Limited can assist in all matters related to obtaining ‘Category 2’ residency in Gibraltar and in maximising its benefits.